Blurb Description: In this gorgeously written, emotional novel that fans of Sarah Dessen will enjoy, a teenage girl must piece together the parts of her life she doesn’t remember after a severe collision leaves her with no memory of the past four years. 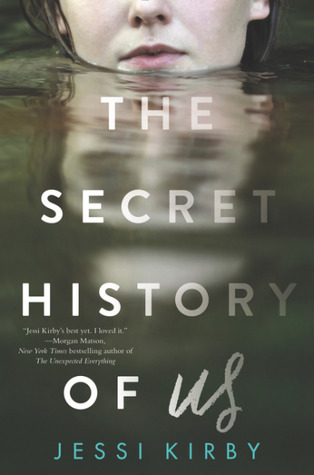 I read The Secret History of Us in record time for a book this year. And by that I mean that I DEVOURED this book in less than a day, managing to read over a 100 pages at a time without even realizing it, because this book was JUST THAT ENGROSSING. The Secret History of Us managed to pull me in and get me hooked within the first few pages and it was one of the most enjoyable books I’ve read recently! My only problem was that I felt like the ending was too… rushed. The book until then had been going at JUST the right pace, with some heart breaking dialogue and a very engrossing plot but the end felt so rushed, that when I flipped the last page, I was actually hoping I’d lost a few pages. 1. THE PACE AND THE PLOT: While I feel like I’ve read bits and pieces of this plot in other book, combine that with the pace and this book just pulled me right in and kept me engrossed. In fact, the first time I looked down at the page number, I was already a hundred pages in! :O It was simply yet addicting writing in a deep book and it just worked really well together. 2. THE GREAT FRIENDSHIPS: I’m always talking about how vital best friends are to YA books because your best friends knows where all the skeletons are. Figuratively, of course. I loved that The Secret History of Us had friends that were there for each other even after drifting apart or some huge event because THAT’S WHAT FRIENDS ARE LIKE. I do wish we got to see more Jules, but all in all I loved the strength and the genuineness behind the friendships. 3. SIBLING LOVE: IT’S BEEN FOREVER SINCE I SAW A PROPER SIBLING RELATIONSHIP IN A YA BOOK (Where a sibling hadn’t died/ was pregnant/ just an all-around screw-up) and I absolutely LOVED Sam and Liv’s playful, food filled and teasing relationship. It honestly reminded me of the fun relationship I share with my brother and I loved it. 1. THE RUSHED ENDING: Don’t get me wrong, the actual ending was nice, if a little predictable. The pace of the ending, however was so rushed that, like I mentioned above, I honestly thought my copy was missing a few pages. I feel like the ending could have been done in a manner more befitting the book, and one that truly highlighted the change that Liv realises she’s gone through from the person everyone was telling her she was. I probably would’ve rated this book five stars if the ending was written in a little better than what I got. An addicting, engrossing read about finding yourself when you can’t remember who you used to me. 4 stars. Jessi Kirby is a former English teacher and librarian. 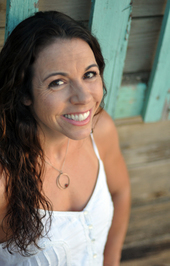 She lives in Orange County, CA with her husband and two kids, where she writes stories and runs the beach every day. Well, almost every day. Her first book, Moonglass, was named an ABA New Voices Pick. She has also written three other novels—In Honor, Golden and Things We Know By Heart. Jessi works as a middle school librarian in Orange County, California, where she lives with her husband and two kids. What are some of your favourite books centered around memory loss and coming of age? Have you read any of Jessi Kirby's books? What do you think of them and which one is your favourite?